The sun has been without sunspots for 8 consecutive days. Consider this the shape of things to come. The sun is rapidly plunging into a deep solar minimum. By the end of 2018, spotless intervals will be measured in weeks, not days, as the solar cycle continues to weaken. How does this affect us? Ironically, weak solar activity boosts cosmic radiation in Earth's atmosphere--a situation that is expected to worsen in the years ahead. Cosmic rays are bad–and they’re getting worse. That’s the conclusion of a new paper just published in the research journal Space Weather. The authors, led by Prof. Nathan Schwadron of the University of New Hampshire, show that radiation from deep space is dangerous and intensifying faster than previously expected. The story begins four years ago when Schwadron and colleagues first sounded the alarm about cosmic rays. 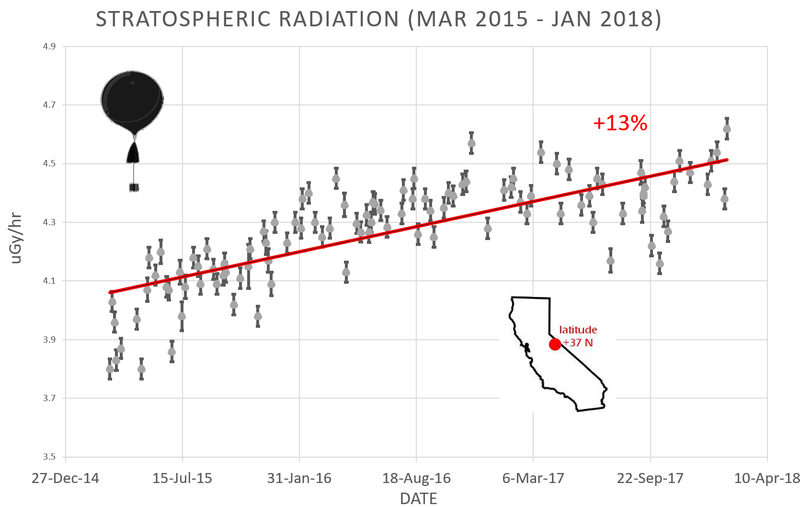 Analyzing data from the Cosmic Ray Telescope for the Effects of Radiation (CRaTER) instrument onboard NASA’s Lunar Reconnaissance Orbiter (LRO), they found that cosmic rays in the Earth-Moon system were peaking at levels never before seen in the Space Age. The worsening radiation environment, they pointed out, was a potential peril to astronauts, curtailing how long they could safely travel through space. In the 1990s, the astronaut could spend 1000 days in interplanetary space. In 2014 … only 700 days. “That’s a huge change,” says Schwadron. Galactic cosmic rays come from outside the solar system. 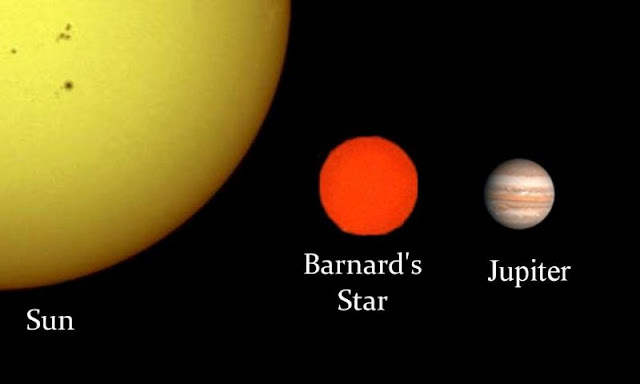 They are a mixture of high-energy photons and sub-atomic particles accelerated toward Earth by supernova explosions and other violent events in the cosmos. Our first line of defense is the sun: The sun’s magnetic field and solar wind combine to create a porous ‘shield’ that fends off cosmic rays attempting to enter the solar system. The shielding action of the sun is strongest during Solar Maximum and weakest during Solar Minimum–hence the 11-year rhythm of the mission duration plot above. The data Schwadron et al have been analyzing come from CRaTER on the LRO spacecraft in orbit around the Moon, which is point-blank exposed to any cosmic radiation the sun allows to pass. 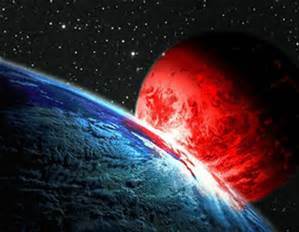 Here on Earth, we have two additional lines of defense: the magnetic field and atmosphere of our planet. Both mitigate cosmic rays. X-rays and gamma-rays detected by these balloons are “secondary cosmic rays,” produced by the crash of primary cosmic rays into Earth’s upper atmosphere. They trace radiation percolating down toward our planet’s surface. The energy range of the sensors, 10 keV to 20 MeV, is similar to that of medical X-ray machines and airport security scanners. How does this affect us? Cosmic rays penetrate commercial airlines, dosing passengers and flight crews so much that pilots are classified by the International Commission on Radiological Protection as occupational radiation workers. Some research shows that cosmic rays can seed clouds and trigger, potentially altering weather and climate. Furthermore, there are studies ( #1, #2, #3, #4) linking cosmic rays with cardiac arrhythmias in the general population. Cosmic rays will intensify even more in the years ahead as the sun plunges toward what may be the deepest Solar Minimum in more than a century. Stay tuned for updates. 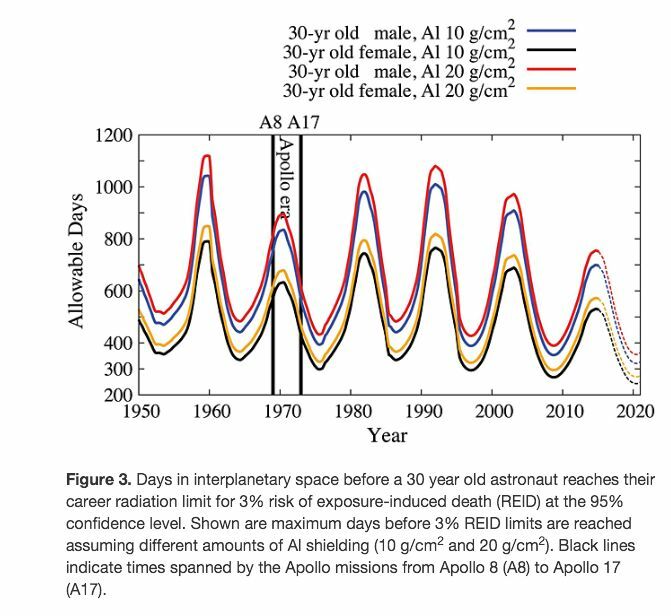 Schwadron, N. A., et al (2014), Does the worsening galactic cosmic radiation environment observed by CRaTER preclude future manned deep space exploration?, Space Weather, 12, 622–632, doi:10.1002/2014SW001084. 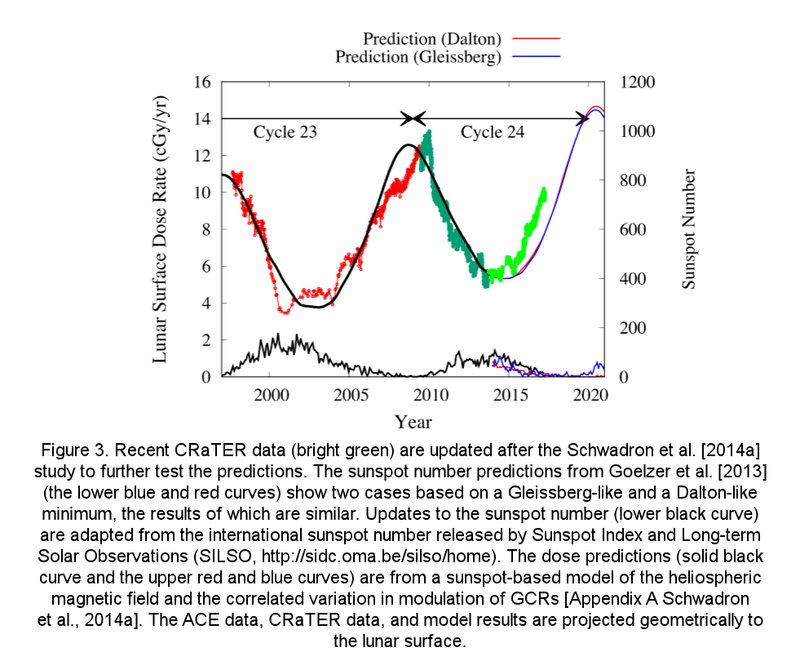 Schwadron, N. A., et al (2018), Update on the worsening particle radiation environment observed by CRaTER and implications for future human deep-space exploration, Space Weather, doi: 10.1002/2017SW001803.